Why Consider Cyber Liability Insurance? Cyber attacks are on the rise. Just this past winter, major retailers Target and Neiman Marcus fell victim to cyber attacks. In those attacks alone, more than 100 million of these stores’ customers had their personal data stolen. You probably remember if you were a regular shopper who had to change your banking information due to the security breaches. Those cyber attacks were certainly scary, but the most frightening part is that all cyber attacks are almost entirely preventable. Security researchers at IBM just released an extensive Cyber Security Intelligence Index that revealed 95 percent of successful hack attacks or incidents were a result of some type of human error. Human error could include anything from forgetting to update a password or opening an email attachment from a strange or unusual source. As simple as these mistakes might be, they can result in major security breaches that have a devastating impact on your business. Cyber attacks are attempted or successful breaches of computer security. These threats come in forms like phishing, viruses, Trojans, key logging, spyware and spam. Once hackers have infiltrated the computer system through any one of these means, they can accomplish any of several malicious goals. Cyber attacks have resulted in the theft of personal customer or company information or financial assets, corrupting data or causing operational disruption or even total shut-down. There are many preventative measures you can take to lower the risk of a cyber attack or at the very least, lessen the damaging effects it could have on your business. Create a formal, documented risk management plan that addresses the scope, roles, responsibilities, compliance criteria and methodology for performing cyber risk assessments. This plan should include a characterization of all systems used at the organization based on their functions, the data they store and process, and their importance to the organization. Make sure all firewalls and routers are secure and kept up to date. Implement a cyber security policy that educates employees about the dangers of computer intrusions and how to prevent them. PDCM Insurance can help you draft a cyber security policy specifically tailored to your company. Download and install software updates for your operating systems and applications as they become available. Implement a strict password policy and have employees change system passwords every 90 days. Limit employee access to company data and information, and limit authority to install software. 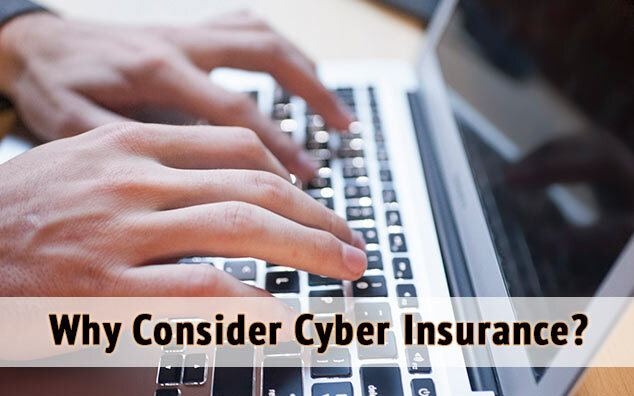 Make sure you are covered by a cyber liability insurance policy. How can cyber liability coverage help? Most traditional commercial general liability (CGL) policies will not cover business interruption losses due to a cyber event. Luckily, cyber liability coverage can fill that void. Data or code loss due to a natural disaster or malicious activity. Physical destruction of equipment is covered under a different policy. Contact PDCM Insurance today to find out how we can help you avoid the destructive effects of cyber attacks. August 6, 2014 in cyber liability, cyber liability insurance.